1. Dry roast vermicelli till it becomes brown. 2. Pour oil in a pan over moderate heat. 3. Add mustard seeds to sprout. 4. Add urad dal, chana dal, asafoetida and curry leaves. 5. Fry till it becomes brown. 6. Add jeera and pepper powder with it. 7. Mix all the ingredients along with chopped ginger, green chilli, salt and vermicelli in curd and stir them briskly. 8. Allow the batter to ferment in a container for 5 to 6 hours. 9. 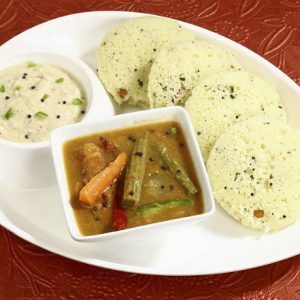 Pour batter in idli mould and steam for 20 minutes. 10. Serve hot with chutney. 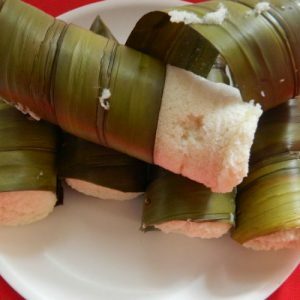 Feel free to comment or share your thoughts on this Sevain (Vermicelli) Idli Recipe from Awesome Cuisine.